Audrey Grunst is the owner and therapist at Simply Bee. 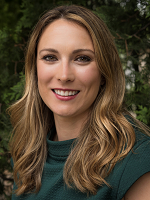 Audrey earned her MSW at Loyola University Chicago in 2011 and is certified in Change Management from Lake Forest Graduate School of Management. Audrey combines over 10 years of clinical experience with her business background to help others improve mental health including anxiety, perfectionism and performance. She also is the owner of Coachability LLC and is a mental performance coach for Northwestern Women’s Volleyball Program. She presents on a variety of issues including emotional intelligence and anxiety management. Audrey has presented at over 100 different schools, nonprofits, and conferences. Audrey has extensive training in skill based therapy including Dialectical Behavior Therapy (DBT), Cognitive Behavioral Therapy (CBT), Exposure Response Prevention (ERP), Family-based Therapy for Anorexia, and Acceptance and Commitment Therapy (ACT). She uses these skills in her strategy formula to promote change. Prior to Simply Bee, Audrey was a director at Eating Recovery Centers (ERC). While at ERC Insight, Audrey built several programs and managed a team of over 20 employees and two locations. She participated in a three-year study with University of Chicago, measuring the outcome of eating disorder treatment using FBT and DBT. Audrey was also a Division I volleyball player at Loyola University Chicago. Join Audrey in the fight against arthritis, register or donate today. Susan Ballinger was diagnosed with osteoarthritis in 2002. Since her diagnosis, she has had both her knees replaced. If you ask Susan, she will say she is doing well and is able to enjoy many activities she loves. After two knee replacements, Susan is unable to do certain things. Walking or standing for very long is painful, sometimes hand sewing or cross-stitching (two activities she enjoys) is difficult. Susan has learned to adapt and tries to remain as active as possible. She loves to garden, so she has switched to container gardening so she doesn’t have to get up and down on the ground. She enjoys playing with her young granddaughters and watching them grow. One thing Susan is most proud of is being able to travel and walk the cobblestone streets in Europe. She loves to swim and do water exercises and even realized her dream of snorkeling in the Great Barrier Reef. 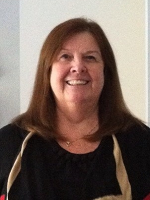 As a member of Alpha Omicron Pi, Susan has supported the Arthritis Foundation for many years. Susan’s family has always joined in support. Her daughters, sons-in-laws and granddaughters join her in the Walk to Cure Arthritis each year. Susan hopes to continue traveling and doing activities she enjoys for years to come, but most of all, her long-term hope is for medical relief from osteoarthritis. Join Susan in the fight against arthritis, register or donate today! Carter was just a little over three years old when his parents noticed swelling in his right knee at a wedding. 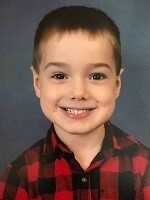 The swelling, along with Carter's requests to be carried up and down stairs on a regular basis made his parents suspicious that something might be wrong. They feel lucky that two visits to their pediatrician led to an orthopedic consult and then a rheumatology consult at Lurie Children’s with Dr. Klein-Gitelman. The quick diagnosis of oligoarticular JIA was a blessing compared to some stories they had heard, but it was still a shock for them. Like most people, they didn’t really know anyone who had JIA, or parents of a child with JIA. While on his medication, Carter has been able to do most of the normal activities he loves to do such as playing with trains, playing soccer, and just running around with his friends. The Arthritis Foundation was an incredible resource for the family. From the amazing amounts of educational materials to their first JA Family Day, the Arthritis Foundation has helped connect them to information, and more importantly, families that are experiencing the same difficult road. Supporting the Arthritis Foundation is important to them because they want more families to have better access to pediatric rheumatologists, better access to the right medications, and better access to a network of families who understand. They said yes to Carter being the Youth Honoree for the 2019 Walk to Cure Arthritis so they could do their part in helping bring more awareness to juvenile arthritis and to show solidarity to everyone who is afflicted by any type of arthritis related condition. Join the Ault family in the fight against arthritis, regsiter or donate today!